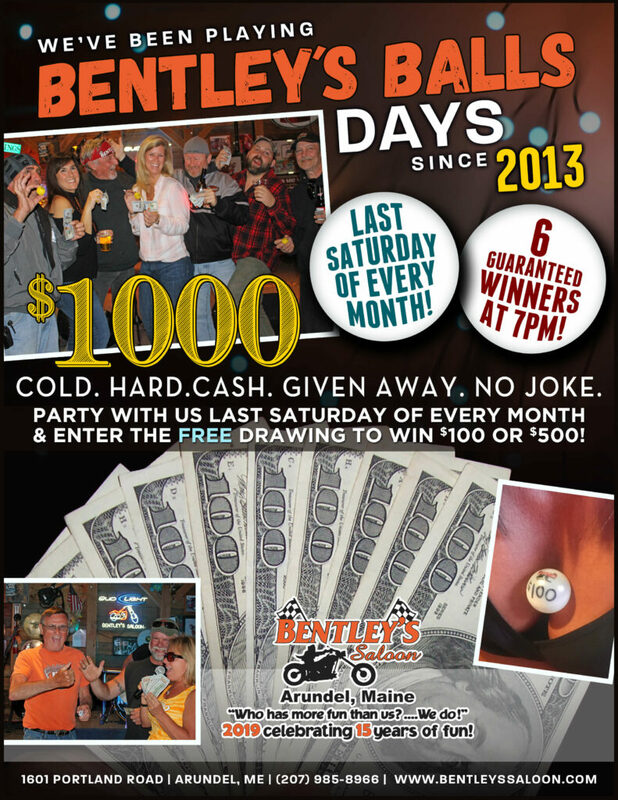 Last Sunday of every month, the hottest modern country band in Southern Maine performs for us from 1 til 5 pm. 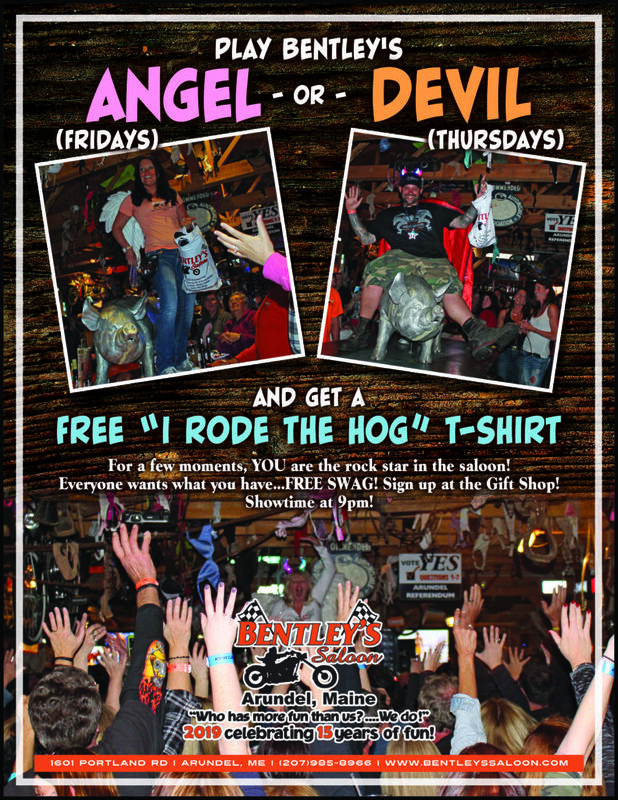 Following their performance, we draw names for guests to qualify to win a FREE Harley Davidson special thanks to Big Moose Harley Davidson, Sailor Jerry’s & Bentley!! FREE entry forms available all day! Winner’s name drawn Oct 12 at 7 pm (must be present to win). Rae with Hogwash ‘N Rhinestones is on site with new, vintage & revamped cowboy boots, clothing & accessories! 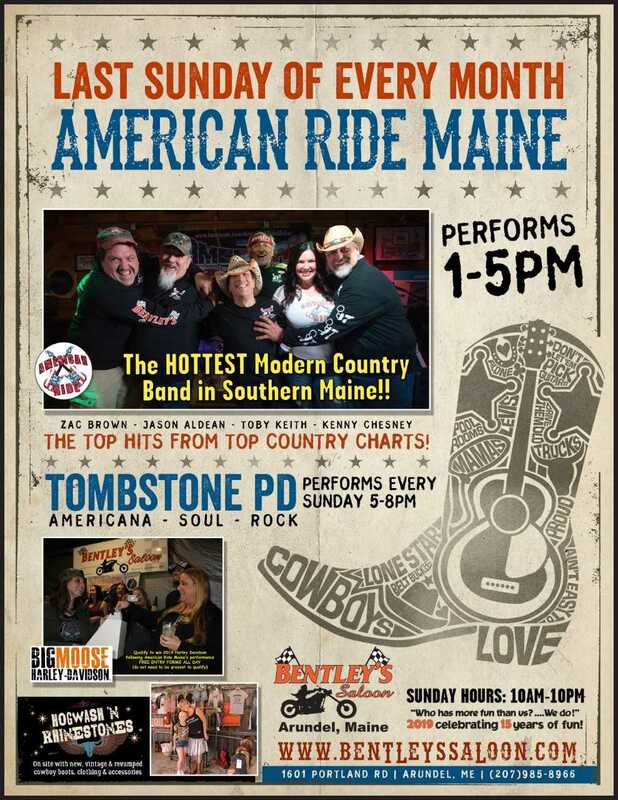 Tombstone PD perform every Sunday from 5 til 8 pm playing a little Americana, a little soul & a little rock. SUNDAY FUNDAY!! Sunday hours 10 am til 10 pm. Extended hours on holiday weekends and special events.